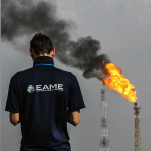 EAME are pleased to announce EAME’s expansion into Romania. 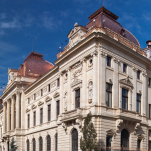 Romania’s industrial heritage has resulted in the legacy environmental issues and that Romania’s recent accession to the EU has resulted in new environmental legislation being written in Romania law. As such, EAME is well placed to use its hard-won knowledge and experience to provide pragmatic solutions to legacy problems and to ensure that Romanian businesses adhere to EU environmental legislation. Earth & Marine Environmental Consultants SRL, 6 Maria Rosetti Street, 4th Floor, Bucharest, 2nd District. EAME’s Managing Director, Steve Rowan, recently attended a number of networking and information sharing events concerning Guyana. This included a round-table meeting ‘Guyana Natural Resources in Focus’ held at the London Stock Exchange followed by a brunch presentation with the President of Guyana, His Excellency David Granger, at The Army & Navy Club on Pall Mall. Steve also attended the Caribbean Council’s Annual Reception at the House of Lords. Here President Granger delivered an address along with Baroness Anelay, Minister of State of the Foreign and Commonwealth Office, and Dr. Angus McCoss, Exploration Director at Tullow Oil. The Annual Reception provides an opportunity for Members of Parliament, Peers, High Commissioners, Ambassadors, members of the UK civil service, non-governmental organisations, members of the Caribbean diaspora and businesses invested in or interested in investing in the Caribbean Region to network, with a view to supporting the Region’s economic development. 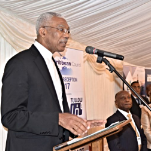 President Granger outlined that Guyana’s abundant resources, investment potential and its strengthened legal and regulatory framework for the national and multilateral investors. President Granger believes such investors are beginning to see Guyana as a new horizon that does not diminish the opportunities in other Caribbean States but adds to the overall value of the region as an investment destination. “They could combine the benefits of having investments in the Caribbean with those in Guyana. Guyana has got tremendous advantages as the only English-speaking country on the continent, as a law abiding country as opposed to a lawless country, as a country with significant land space and possibilities of developing infrastructure and eco-tourism… I think they were quite impressed and I am very confident that we will be receiving more inquiries and investments”, he said. Dr. McCoss of Tullow Oil, which is conducting oil exploration on the edge of the Guiana-Suriname basin, which he described as the ‘industry’s hottest exploration hot spot’ and the Orinduik-Kanuku area, also spoke at the event and emphasised his company’s commitment to respecting President Granger’s push for environmental protection. “A country rich with natural resources is both a great opportunity and a great responsibility for all stakeholders involved and as an oil and gas operator we must be careful to explore, develop and produce oil in the most responsible way [with] respect for both the natural environment, the health and safety of our workers and the communities of our host countries. The economic risks that oil and gas companies take up front are very significant… Once oil begins to flow that’s when the revenues start for both Government and the oil company”, he said. EAME has been operating in Guyana since 2016 and is involved in a number of environmental and social projects and found the opportunity to meet senior politicians and business leaders at these events useful. Mr Rowan and The President discussed sustainable development and mangrove protection opportunities amongst other things. EAME is registered with the Guyanese Environmental Protection Agency to operate as an environmental consultancy.